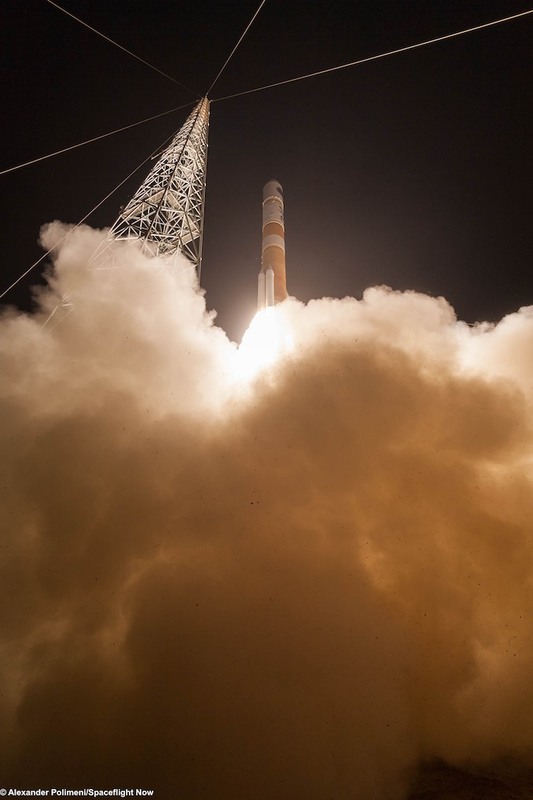 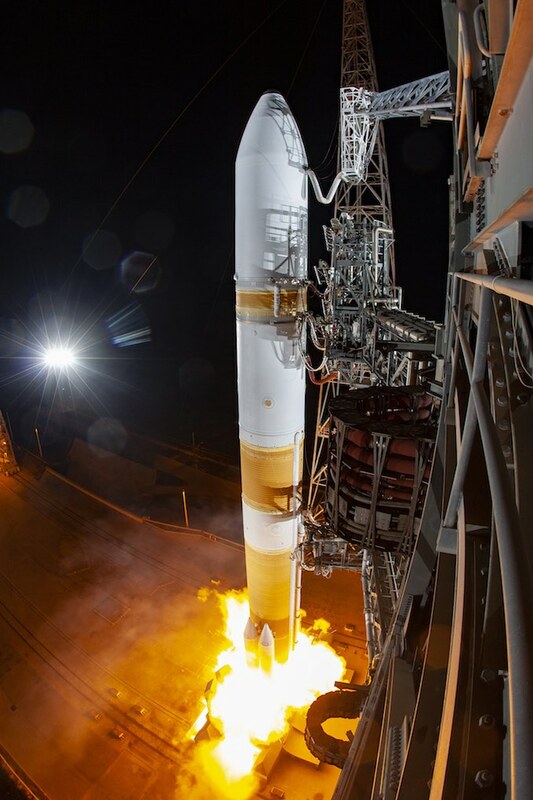 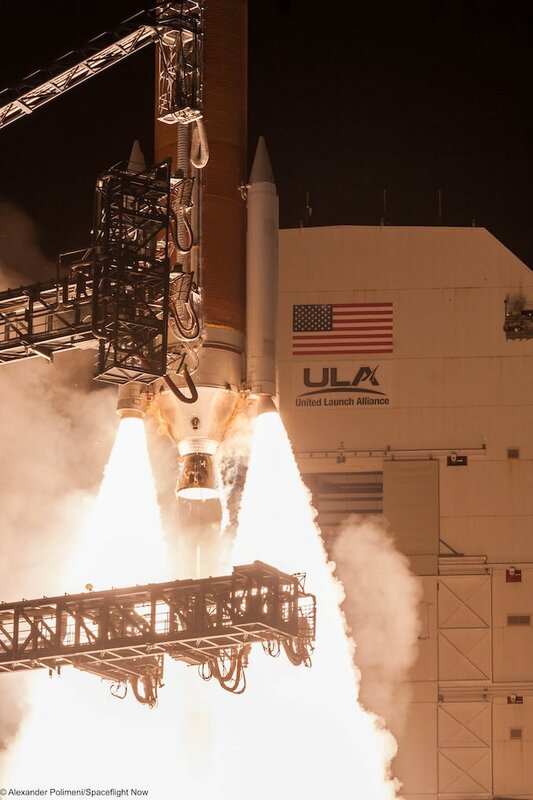 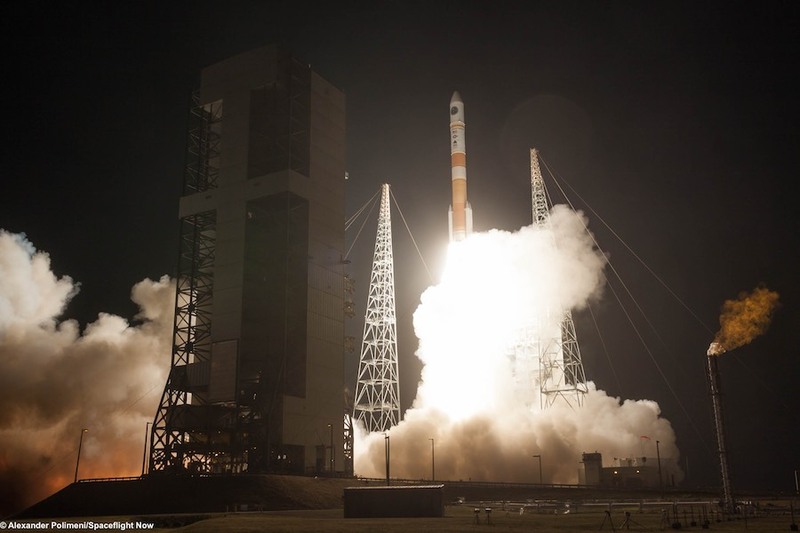 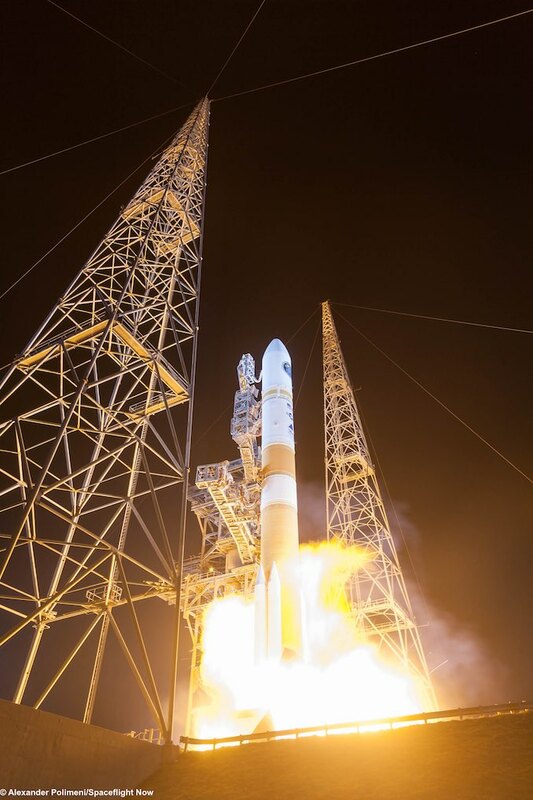 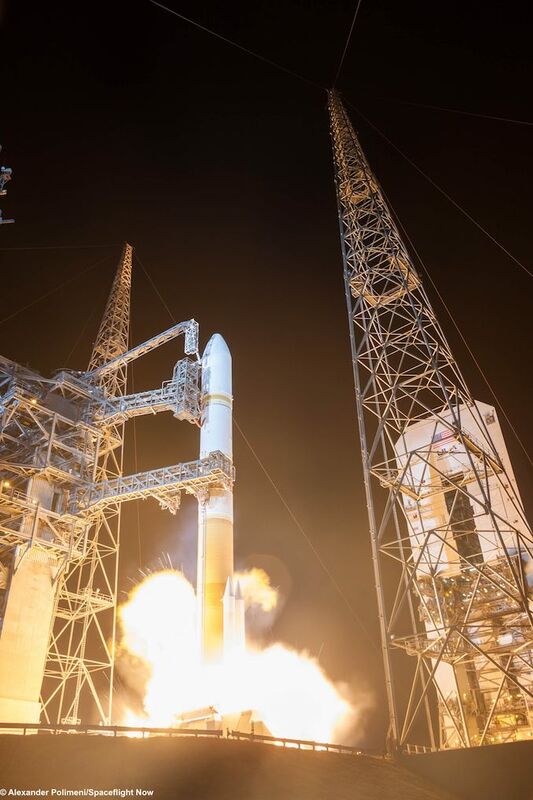 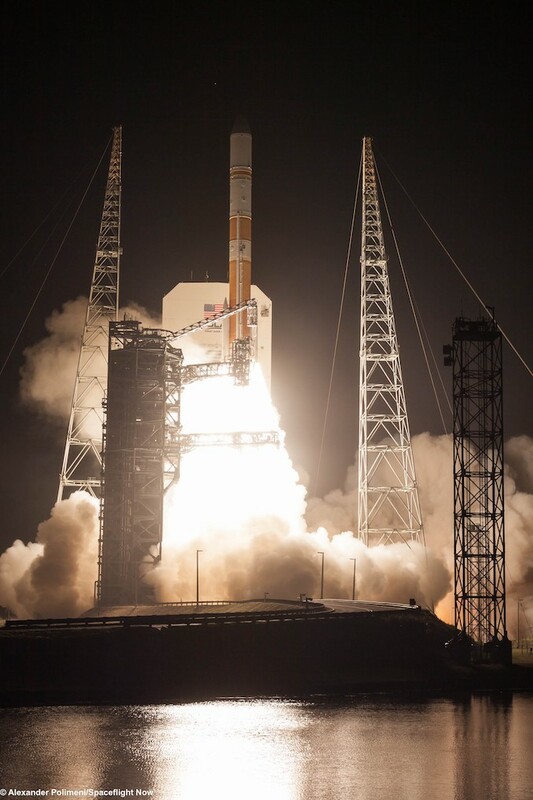 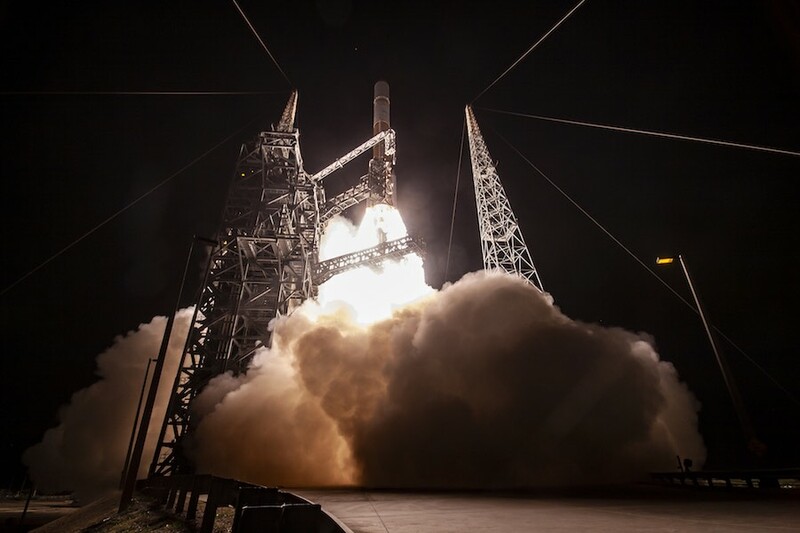 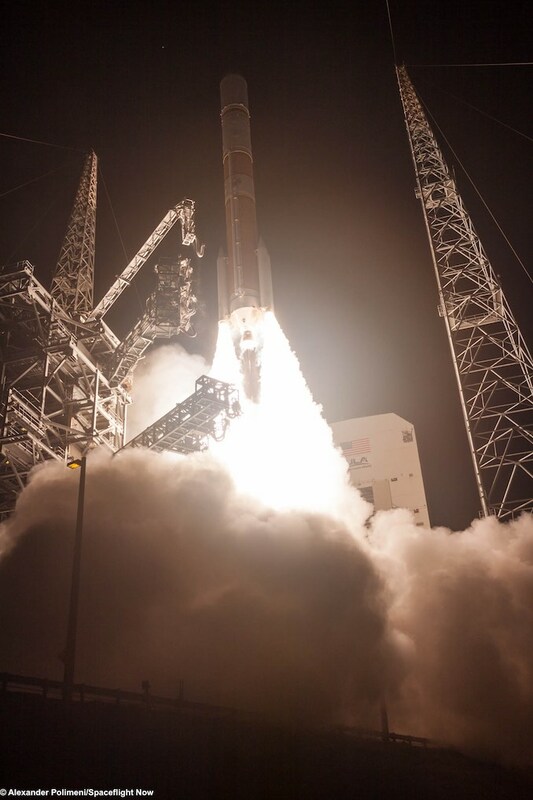 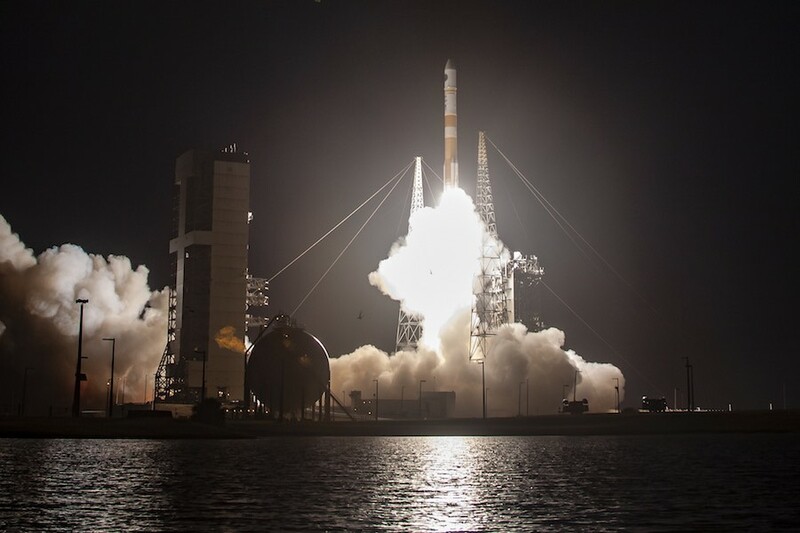 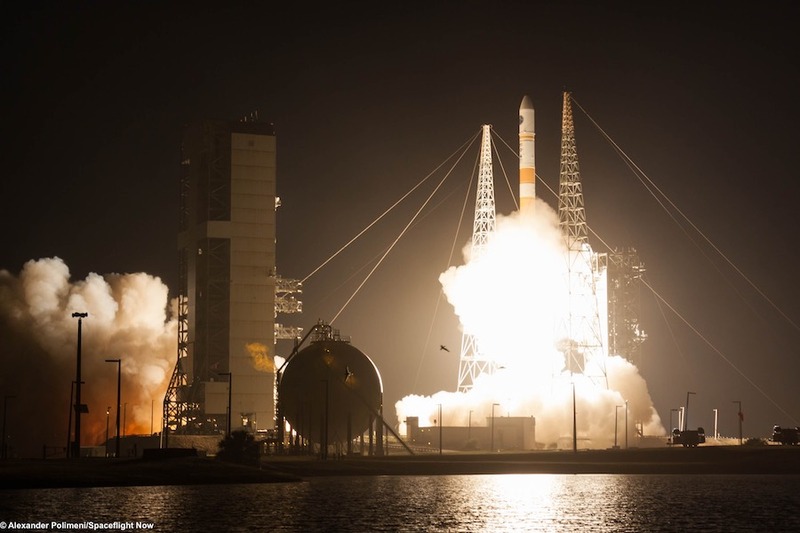 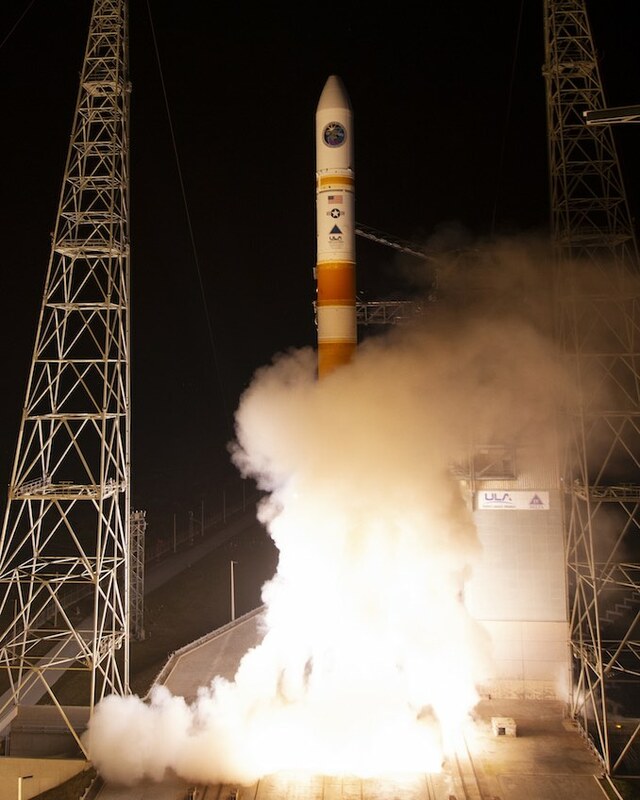 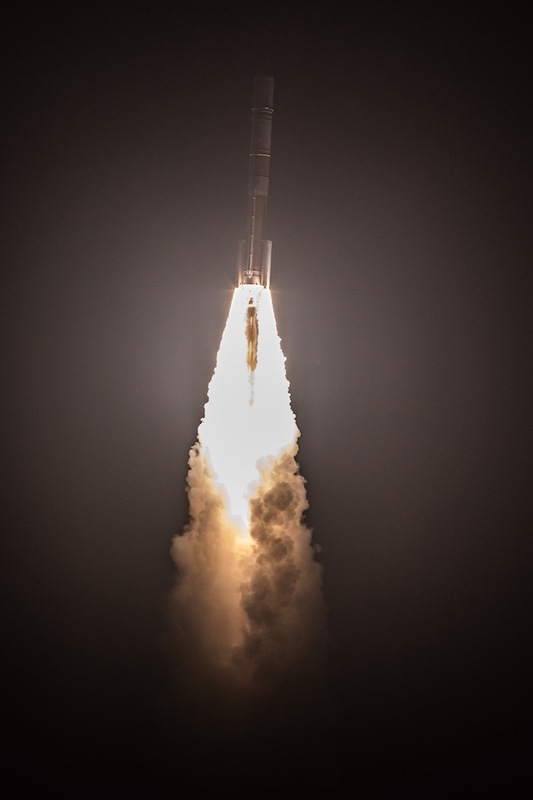 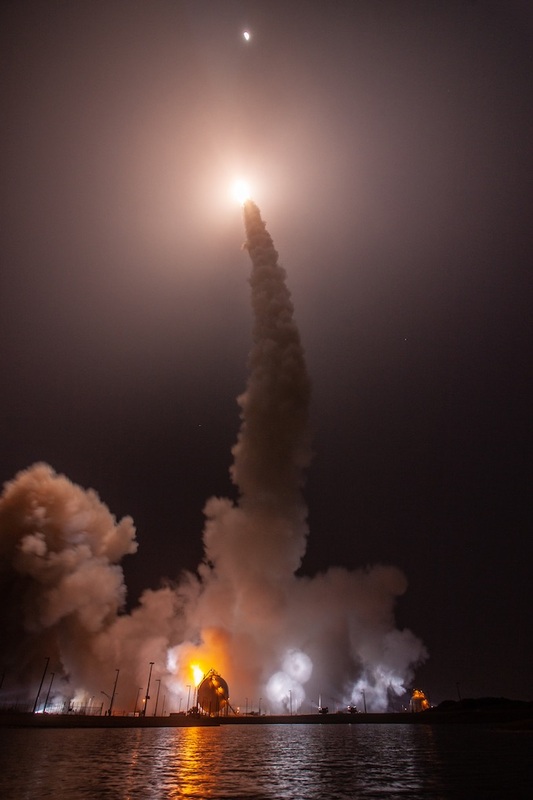 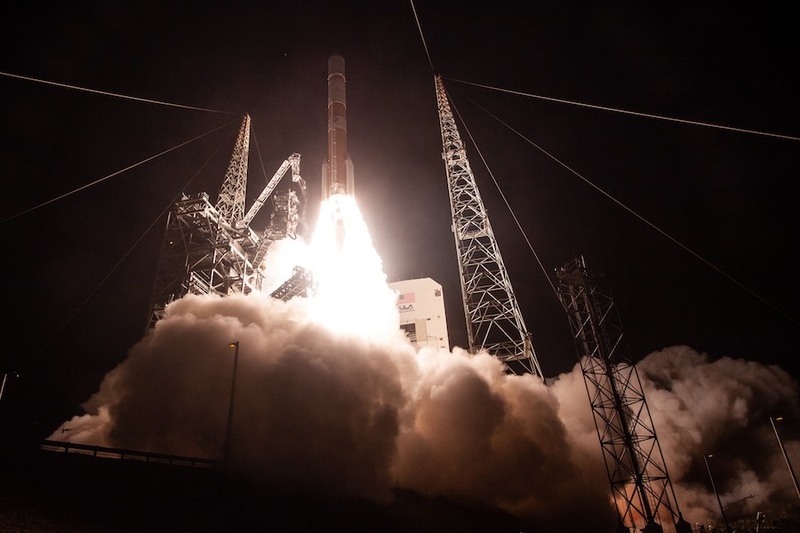 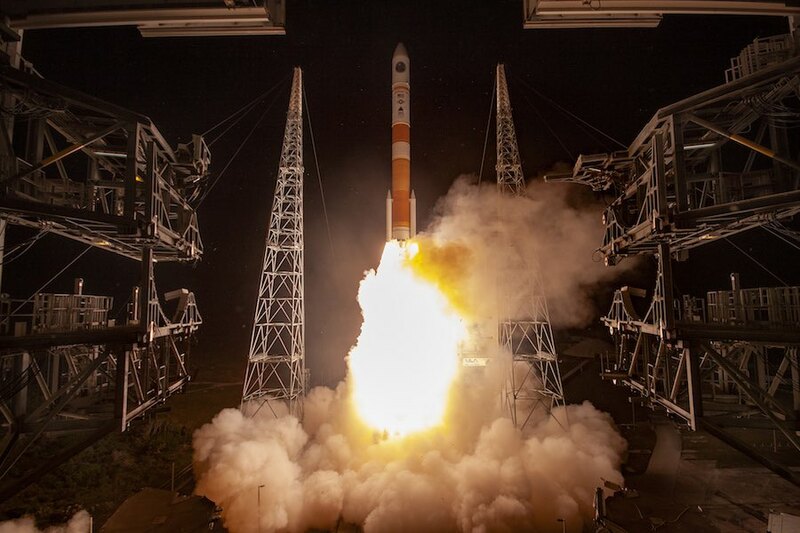 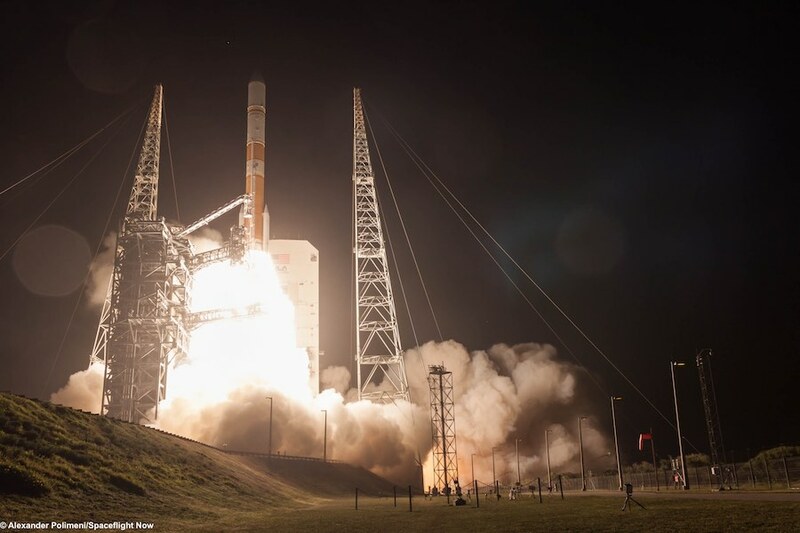 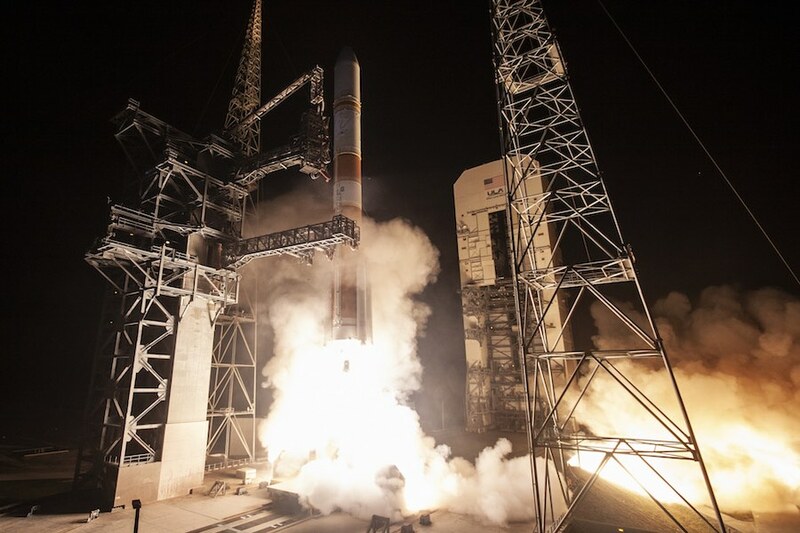 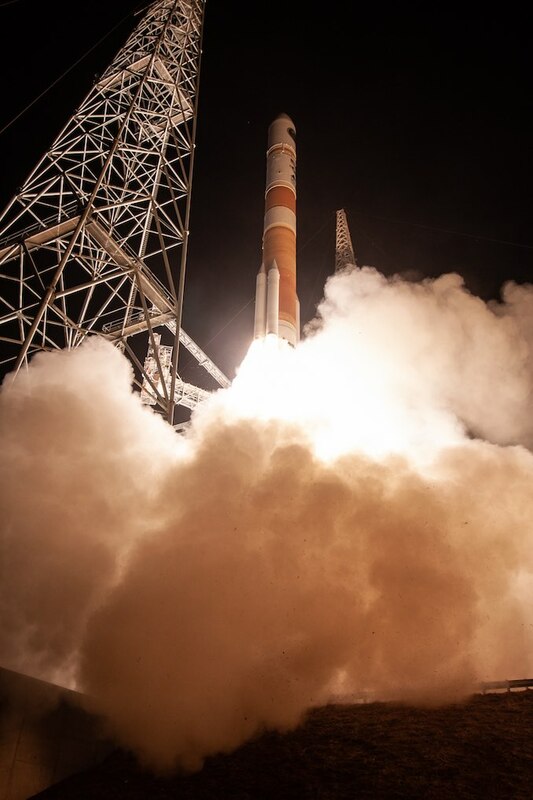 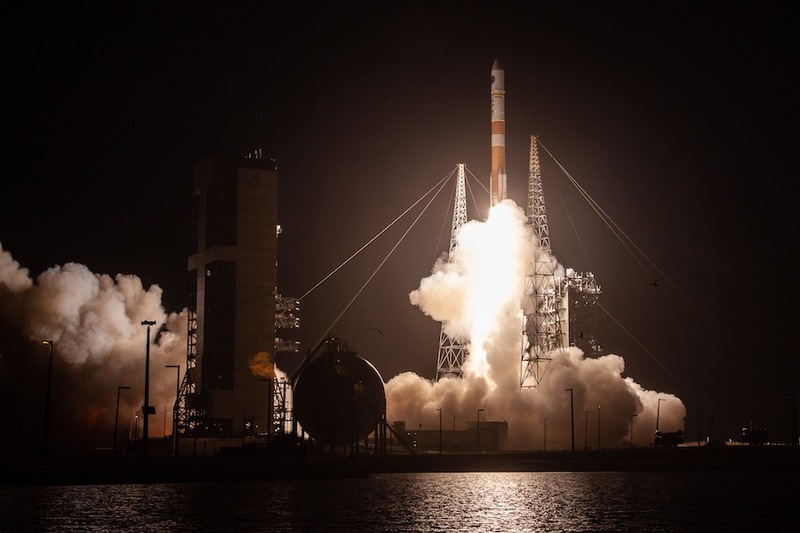 A hydrogen-fueled main engine and four solid rocket boosters combined to propel a United Launch Alliance Delta 4 rocket off its launch pad at Cape Canaveral on March 15, successfully sending a U.S. Air Force communications satellite into orbit. 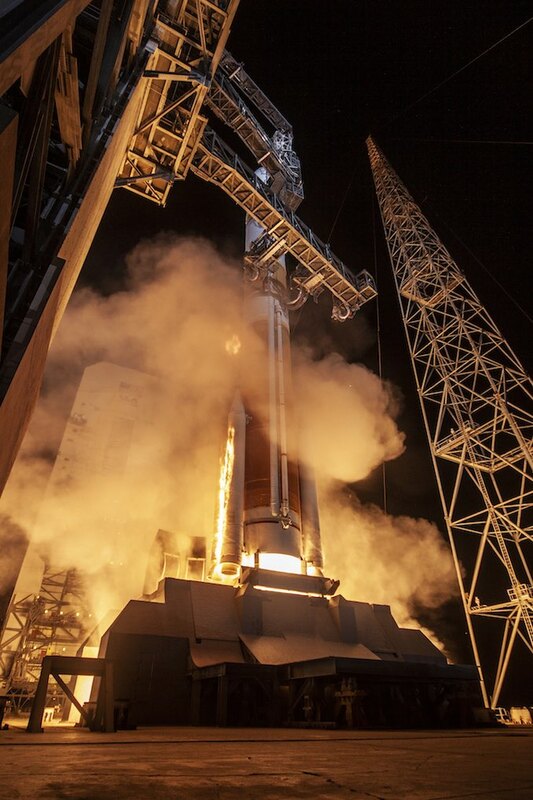 The Aerojet Rocketdyne RS-68A main engine and the four solid-fueled boosters, built by Northrop Grumman, generated 1.8 million pounds of thrust to drive the 218-foot-tall (66-meter) Delta 4 rocket off the launch pad at 8:26 p.m. EDT Friday (0026 GMT Saturday). 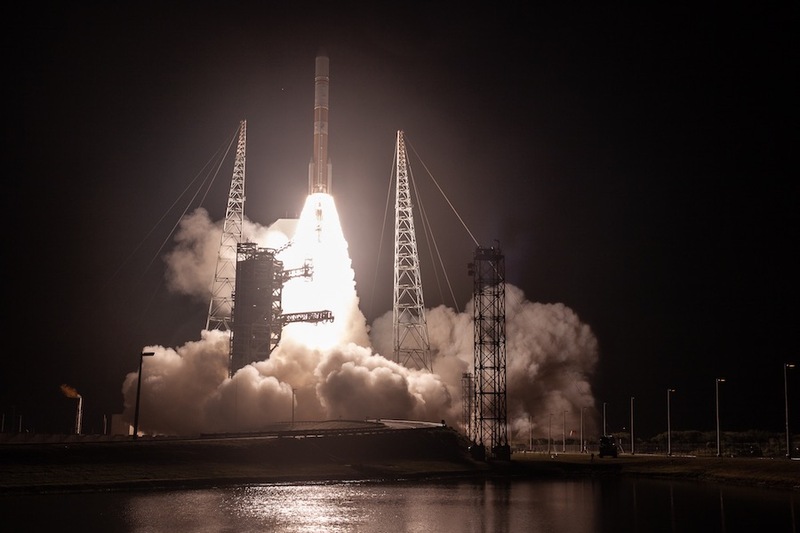 These photos show the Delta 4’s evening liftoff from Cape Canaveral, which was delayed 90 minutes for engineers to address several technical concerns. 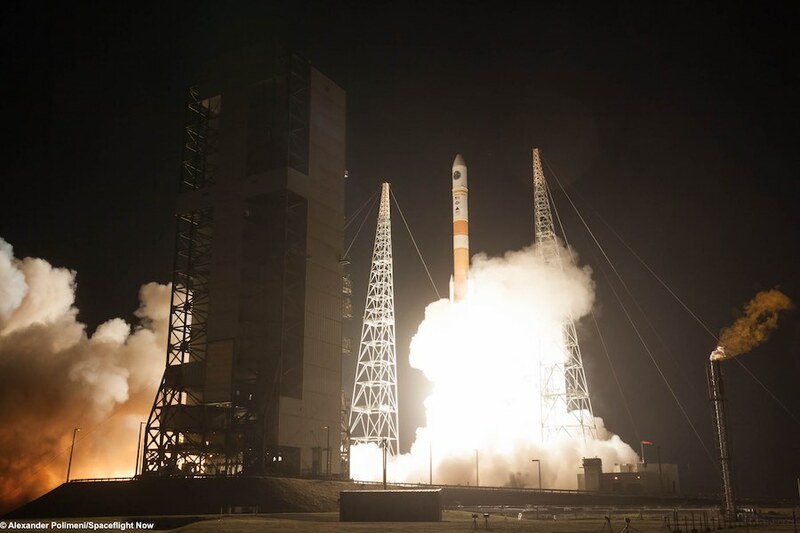 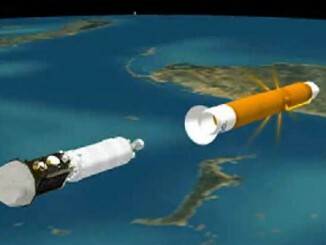 It was the 39th flight of a Delta 4 rocket since 2002, and the next-to-last launch of the basic version of the Delta 4 with a single first stage core. 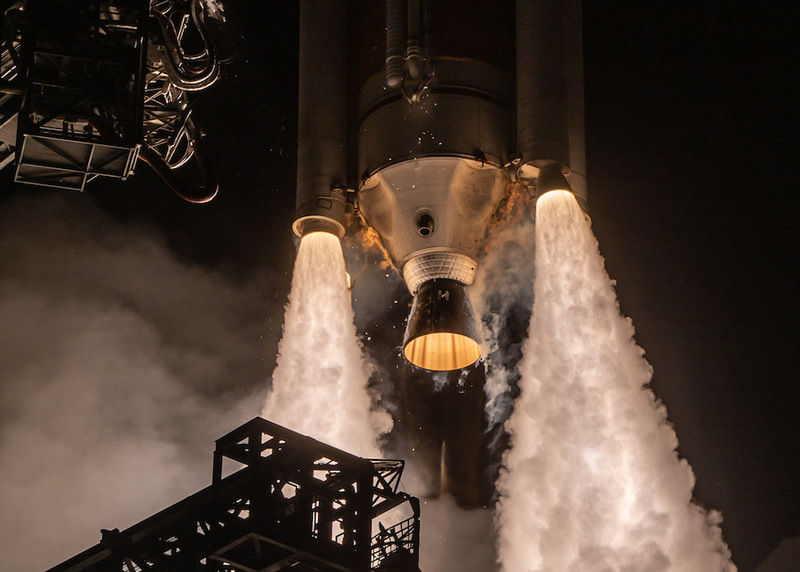 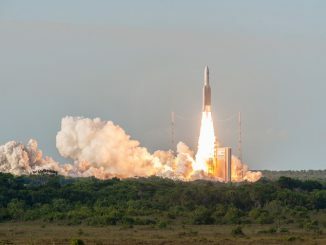 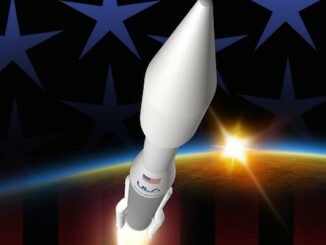 The Delta 4-Heavy rocket, made by combining three first stages together, will continue flying through at least the early 2020s.